Last week, the 2019 Formula 1 races kicked off in Melbourne. Earlier, both Philip Morris International (PMI) and British American Tobacco (BAT) had announced their new their deals with Ferrari and McLaren respectively to promote their new image. 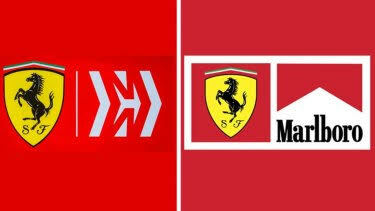 PMI’s deal with Ferrari promotes a new logo called ‘Mission Winnow’ (Figure 1) while BAT’s deal with McLaren will advertise “A Better Tomorrow” to promote “less risky” tobacco and nicotine products (Figure 2). Prior to the race, the Australian Department of Health and Victoria’s Department of Health and Human Services conducted investigations into whether the tobacco companies and their sponsored race cars were violating the strict ban on tobacco advertising, promotion and sponsorship (TAPS). The Australian Communication and Media Authority had also conducted a separate investigation. Just before the race, PMI announced Ferrari has removed the tobacco branding from its official team name following the Australian government’s review into the partnership. The Health Minister confirmed that the Australian Grand Prix Corporation had “assured” them “tobacco logos will no longer appear on cars or uniforms”. The team’s official race entry was listed as “Scuderia Ferrari” and not “Scuderia Ferrari Mission Winnow”. The Formula 1 season runs every year from March to November, with races being held in 21 countries. Advertising during these races can be seen in television broadcasts globally reaching over a billion viewers, including young people. This phenomenal viewership is the reason the TI sponsors motor racing. Tobacco advertising in Formula 1 is able to reach viewers across the globe because many countries have yet to ban cross -border tobacco advertising. Table 1 shows several countries in the ASEAN region only have partial bans on cross-border advertising, while Indonesia and Philippines have not banned such advertisements. While Australia’s strict legislation on TAPS ban has halted PMI and BAT from advertising in Formula 1, however this may not be the case in the other countries hosting the race. 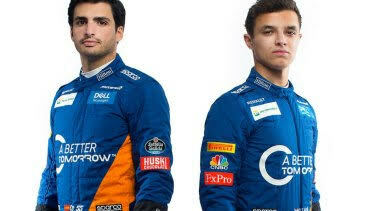 Both companies said they will advertise in Bahrain, the next race destination on 31 March. Formula 1 will be held in Singapore on 22 September and with their strict legislation perhaps the tobacco companies will not advertise there. However the Singapore government must ensure that their laws are not circumvented. Vietnam has just announced that in 2020, Formula 1 race will be held in Hanoi for the very first time., Construction work officially commenced a few days ago (21 March) on the Hanoi Motor Sport Circuit. The track will be a street circuit like Singapore. Meanwhile, PMI has said that Vietnam is the most open market to its heat-not-burn tobacco product, IQOS and is in talks with Vinataba on future plans. According to Vietnam Investment Review, since January 2011, Marlboro cigarettes are manufactured under a sub-licensing agreement between PM Global Brands Inc. and Vinataba-Philip Morris Limited (VPM), a joint venture between Vinataba and PT HM Sampoerna Tbk, a PMI affiliate. The U.K. is another Formula 1 destination and the race will be held there on 14 July. The U.K. has strict legislation banning all forms of tobacco advertising and sponsorship. In July last year the Government ordered Phillip Morris to stop advertising “healthier” tobacco products or face legal action. PMI had advertised its IQOS claiming it wanted to help smokers by providing them with better tobacco alternatives. The Secretariat of the WHO Framework Convention on Tobacco Control (WHO FCTC) issued a statement as a timely reminder to Parties of their obligations under Article 13 of the Convention on TAPS ban in the wake of TI’s sponsorship deals with race cars in the Formula 1 and MotoGP teams. The sixth session of the Conference of the Parties (COP6) urged Parties to consider banning or restricting advertising, promotion and sponsorship of electronic nicotine delivery systems. More recently in 2018, COP8 reminded Parties when addressing the challenges posed by novel and emerging tobacco products such as heated tobacco products and devices designed for consuming such products, actively promoted by several multinational tobacco companies – to apply the same measures regarding advertising, promotion and sponsorship of novel and emerging products as would apply to conventional smoked tobacco products.